When Nebraska’s coaching staff took over the program, fans may have forgotten about linebacker Tyrin Ferguson. The reasons behind that can be explained. When he was a newcomer back in 2015, he was a guy that caught media and fans’ attention right away. There were high hopes for him as someone who would contribute to the team right away. Ferguson did contribute his freshman season on special teams but didn’t make the type of immediate splash many anticipated. Then in 2016 while he was playing middle linebacker in Nebraska’s 4-3 defense, he asked then head coach Mike Riley if he could take a redshirt year. In 2017, Ferguson only appeared in five games all season while slowed with a hamstring injury. That season also brought a new position as he moved to outside linebacker. After all of that, it’s understandable how fans may have let the New Orleans native slip their minds. 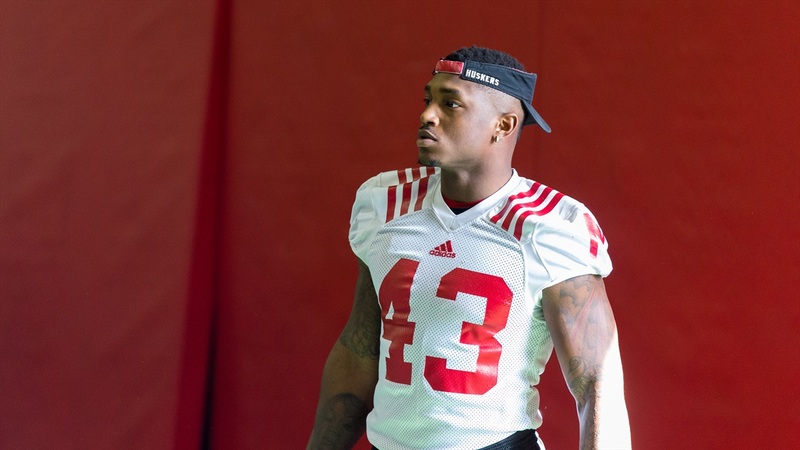 Now,Ferguson is slated as the starting outside linebacker in the Huskers multiple 3-4 defense and he’s had a fast rise up the ranks under the new coaching staff. Outside linebackers coach Jovan Dewitt, has only been coaching Ferguson for about eight months at this point, but he has seen the most growth in the fourth-year player. One of the things Frost’s staff said repeatedly when they took the job at Nebraska was that players would have a clean slate when being evaluated by the coaching staff. Based on the comments Tuesday by defensive coordinator Erik Chinander, that was a positive thing for Ferguson. “You always hear a lot about guys when you get here and all that kind of stuff," Chinander said. "Whatever we heard about him, the slate was wiped clean. He’s put his nose to the grindstone and went to work. He’s done what we’ve asked him to do. He’s a really good practice player. He tries to get guys fired up and he’s hustling around. I love his attitude." Now Ferguson has to turn his good practice habits into results on Saturday. Based on his hard work to get to this point, it would be unwise to bet against him.